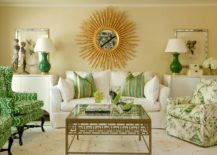 This living room unveils how gentle golden tones of the sunburst mirror perfectly blend in with the warm interior created by the creamy color palette. 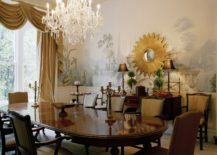 Enhance the luxury of the dining room with a striking sunburst mirror placed in the center of the wall that will draw the attention to itself and give the room an extra element of glamour! 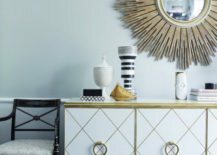 In a lavish living room decorated with a golden color pallette, the glossy sunburst mirror is the most prestigious element. 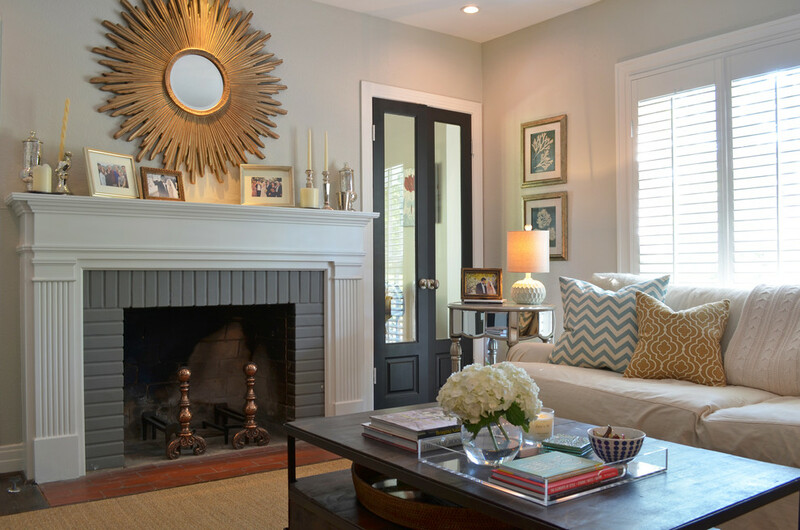 If you want to keep your living room dim and subtle, two smaller sunburst mirrors that match the neutral decor are a wise choice! Together they create a truly stunning background piece! 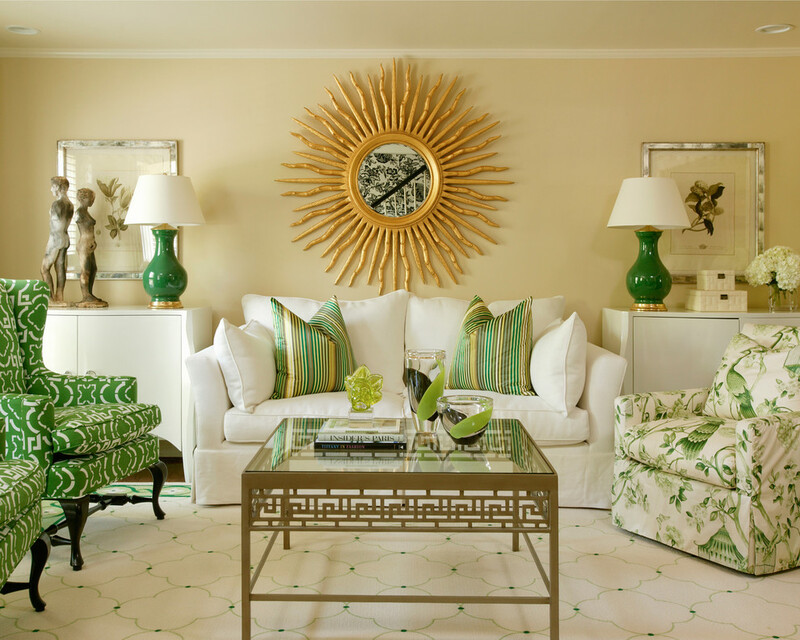 This sunburst mirror is such an incredible striking piece and the absolute focal point of the space, not overshadowed even by the bright green furniture. 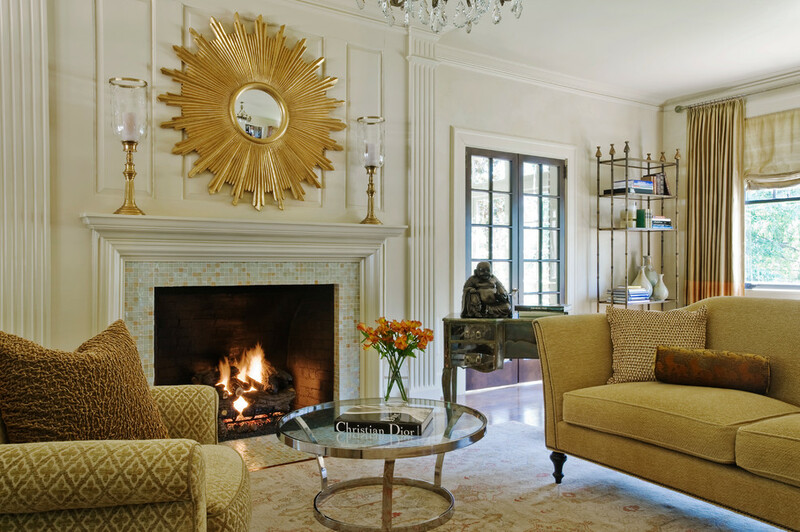 The strong golden color creates a sunny living room with a joyous character! 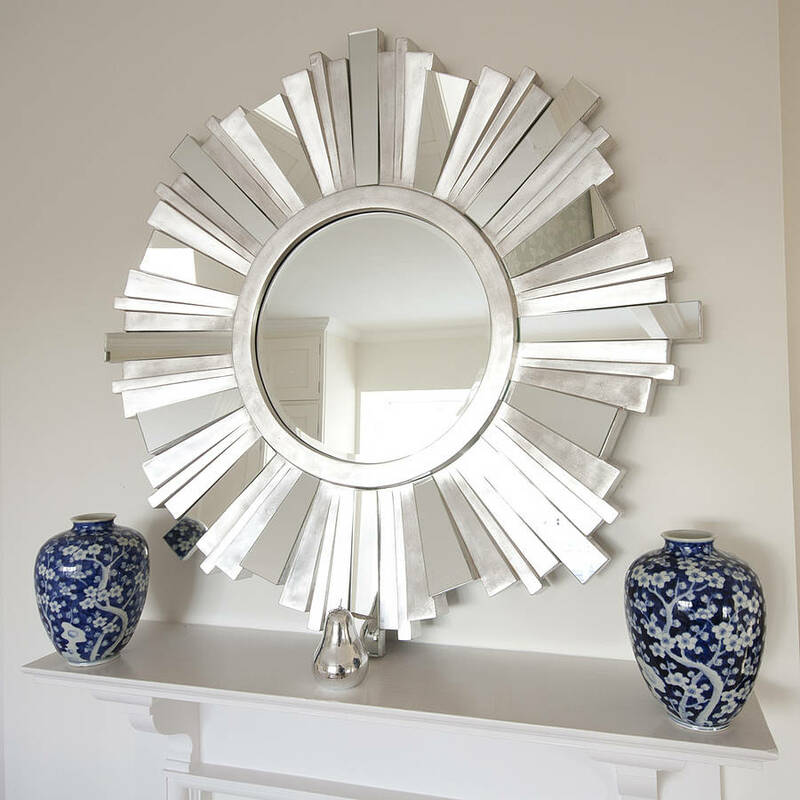 A silver sunburst mirror definitely has a special charm! 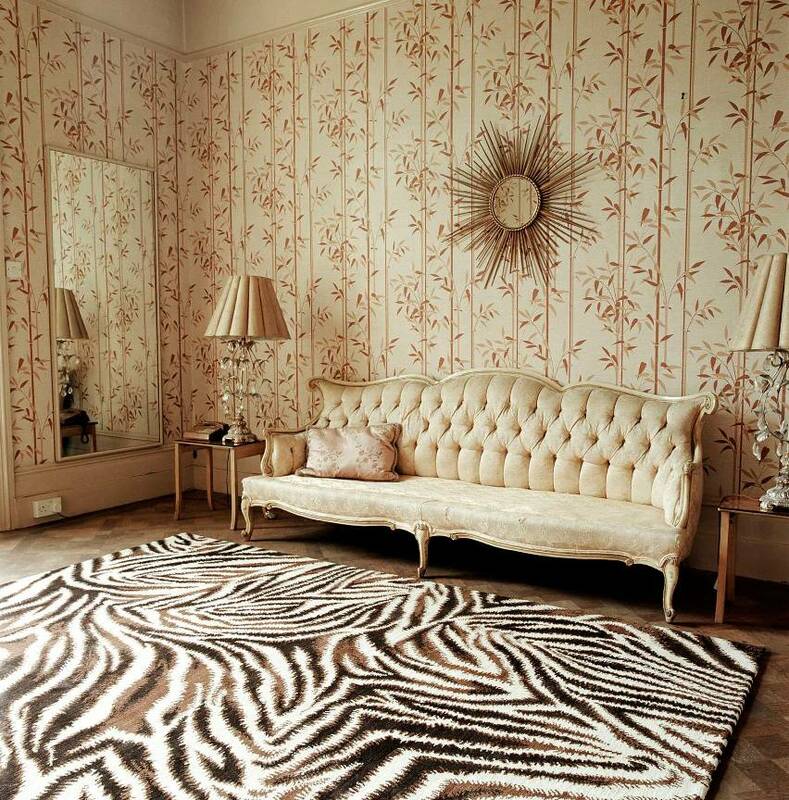 It has a more elegant and polished look but is at the same time quicker to blend into the background and match the rest of the room’s style! 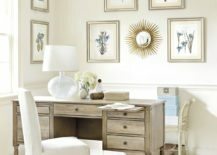 Even though a sunburst mirror is already outstanding on its own, there are always additional ways you can make it the center of attention, one of them being lighting candles on each side of it to fully illuminate it in the golden candlelight. 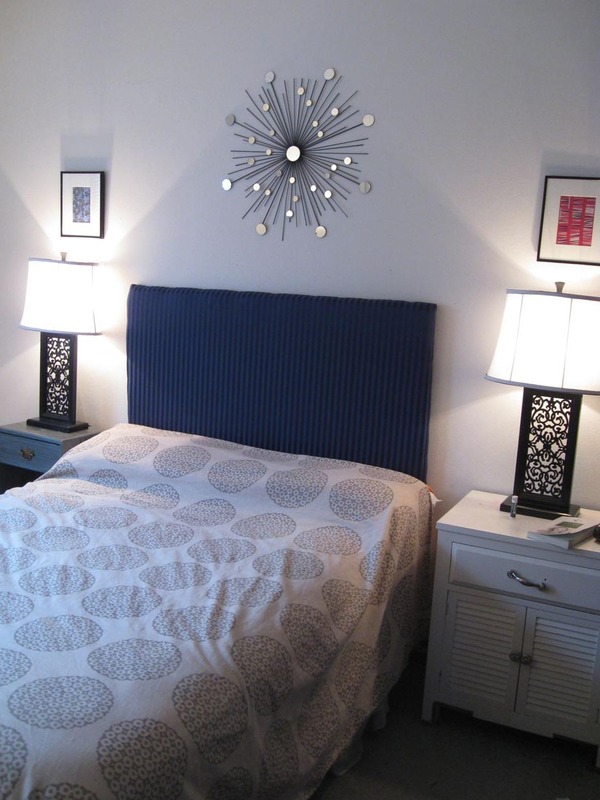 The long and thin rays of this sunburst mirror almost seem infinite, extending over most of the wall space. 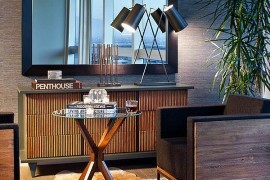 Despite their magnitude the whole piece beautifully matches the beige backdrop, thanks to the rays’ neutral color. 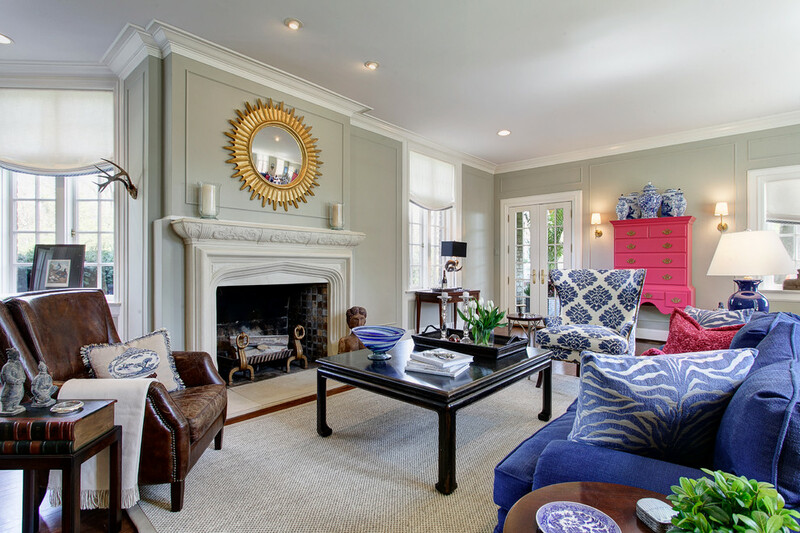 A sunburst mirror is hard to miss, due to its incredible noticeability given to it by the eye-catching color and memorable design. 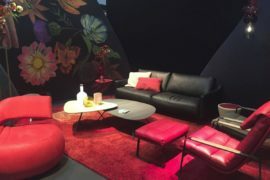 To increase its visibility even more noticeable, pick one with a unique shape! 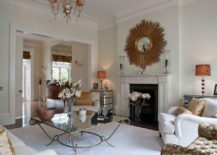 If you consider a perfectly round mirror just a tad too predictable, surely an oval one will do the trick! 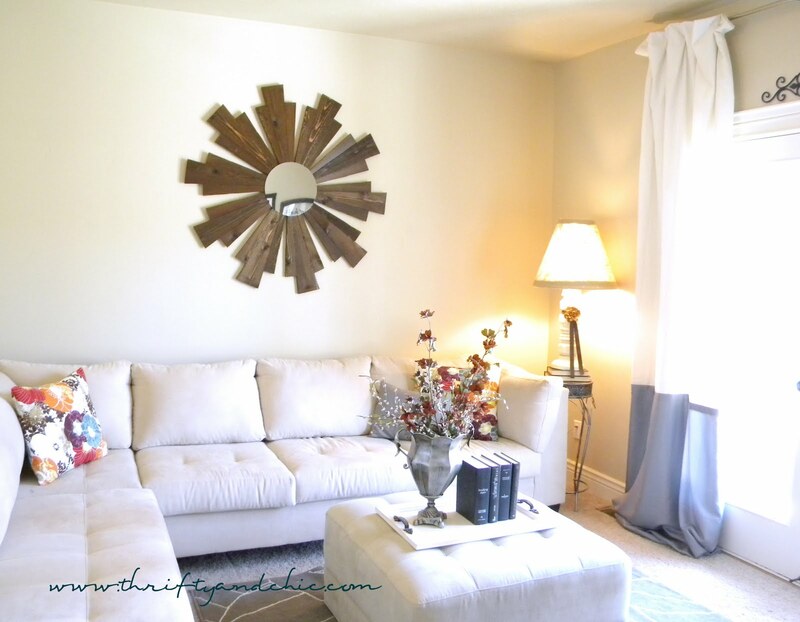 An ordinary living room with a basic white interior can be turned into something outstanding and superior by the swift addition of a captivating sunburst mirror whose influence takes over the entire room! 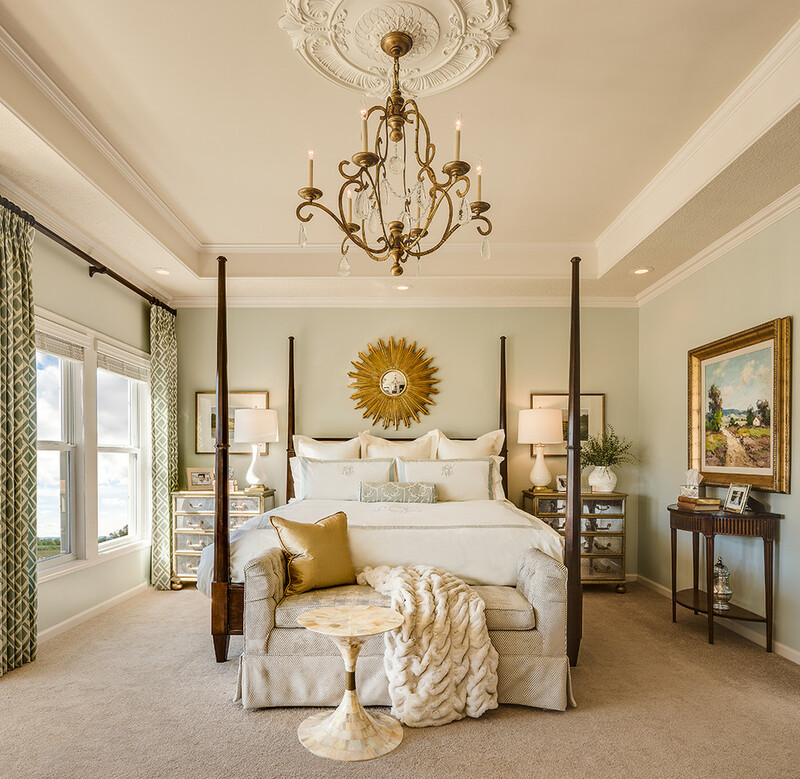 There are many elements that can make a bedroom feel royal and aside from a big four poster bed and an impressive chandelier, a sunburst mirror placed right above the headboard is what truly sends the message of luxury and authority. 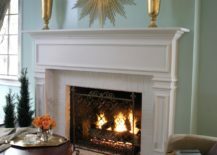 Placing a great metallic sunburst mirror above the fireplace is an easy way to always assure stunning decoration in your living room, without having to worry about finding special items to display on a mantelpiece. 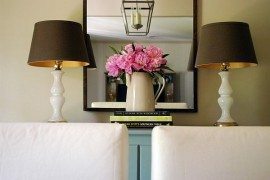 The mirror is the only item that’s truly needed! 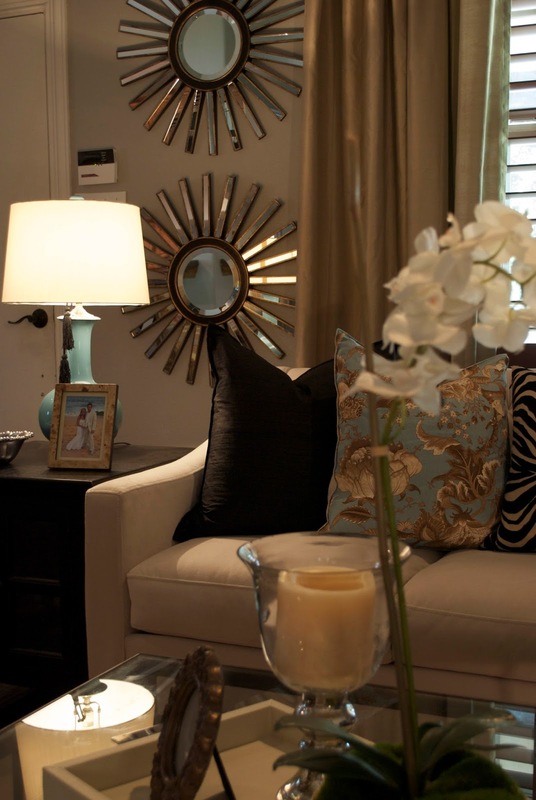 This smaller sunburst mirror almost feels like it’s floating in the room thanks to the mirror wall that it’s a part of. 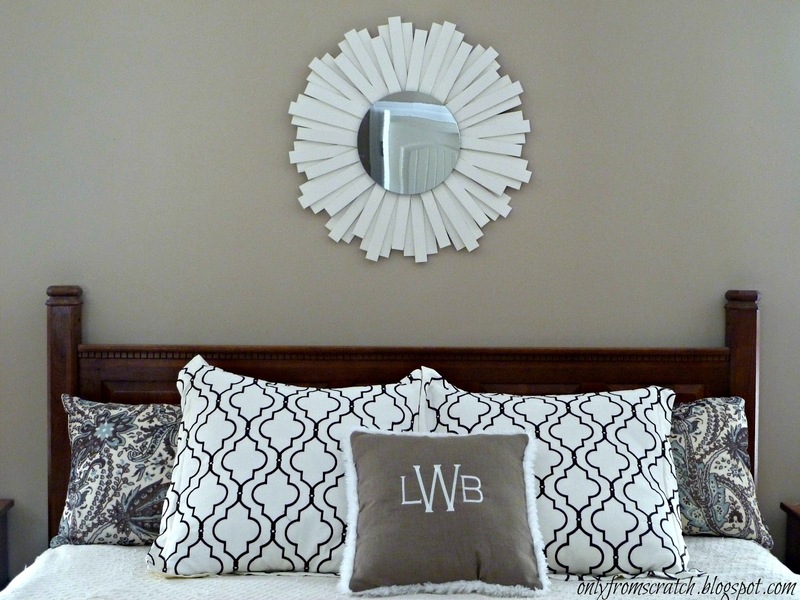 It seems that even a mirror wall can benefit from wall decor, so long as it’s another mirror! 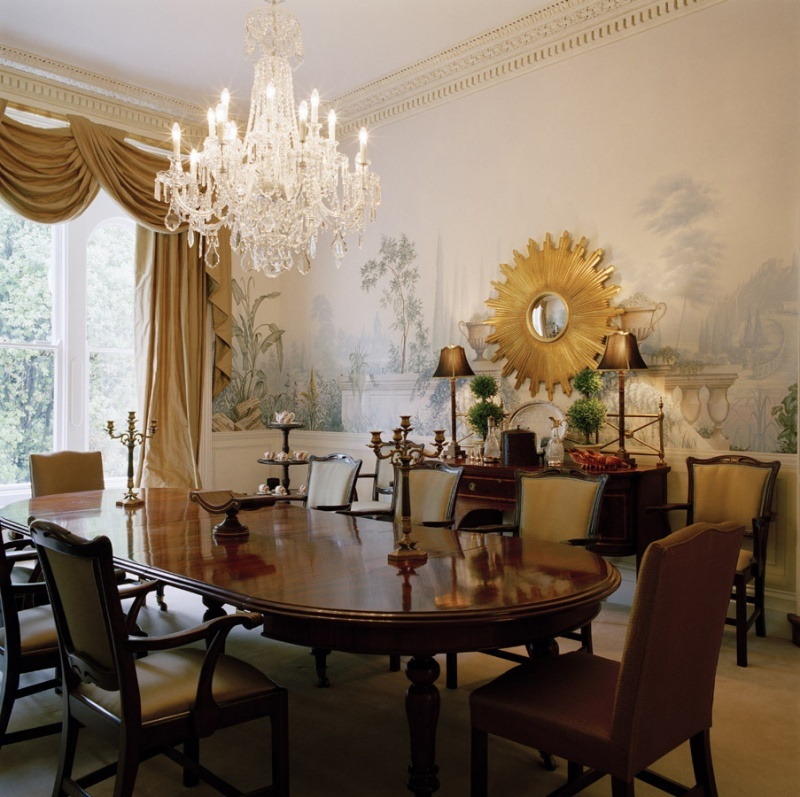 All of that reflection certainly makes the room feel much bigger than it is! 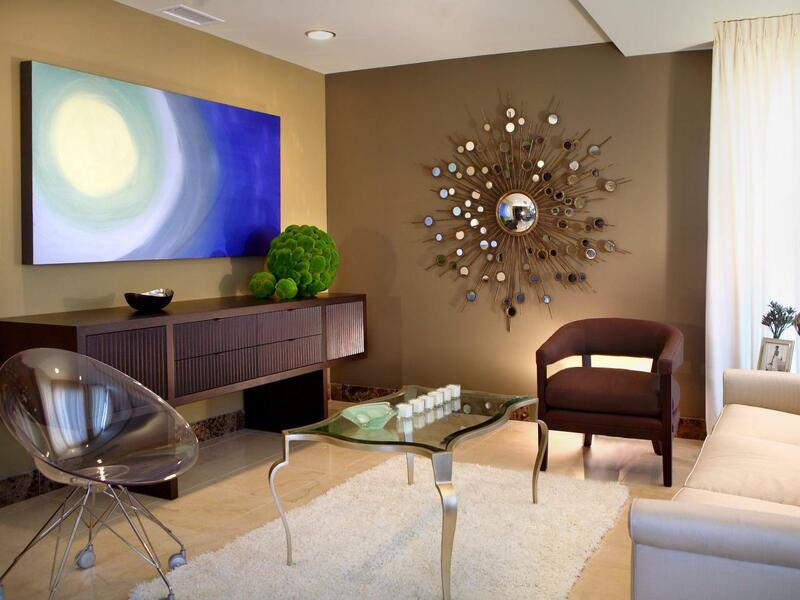 A modern sunburst mirror can make a magnificent art piece that extends over the entire wall and gives the room a certain dynamic it would otherwise lack. 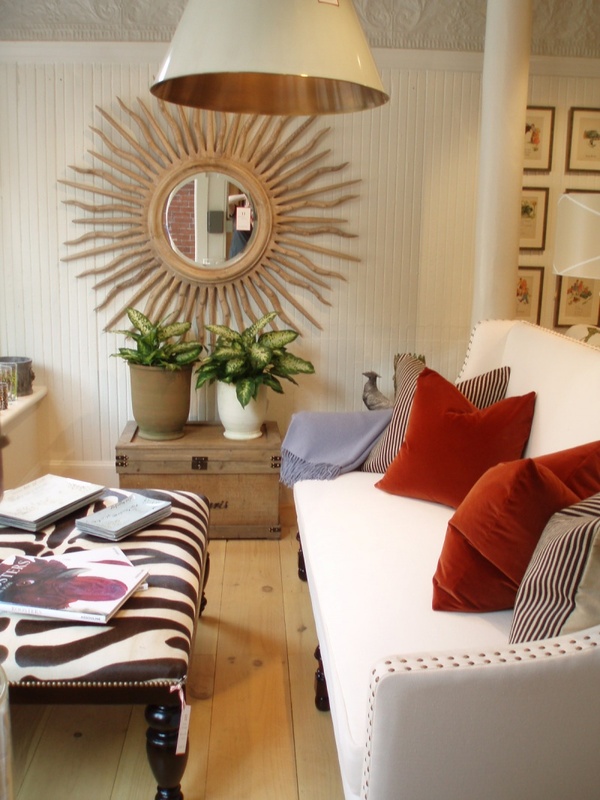 However small, a sunburst mirror can have a great impact on the room. 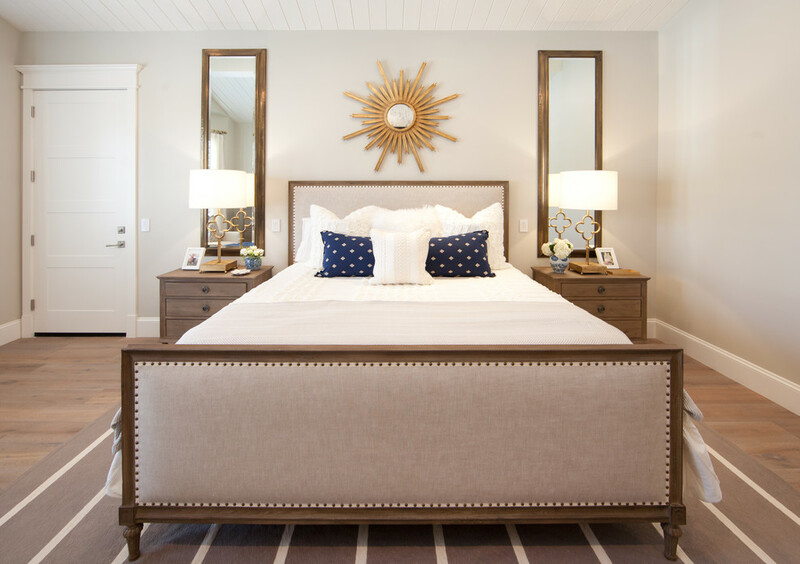 This tranquil bedroom is made unique by the tiny silver sunburst mirror above the bed with a dynamic design that fills the whole space with character and charm! 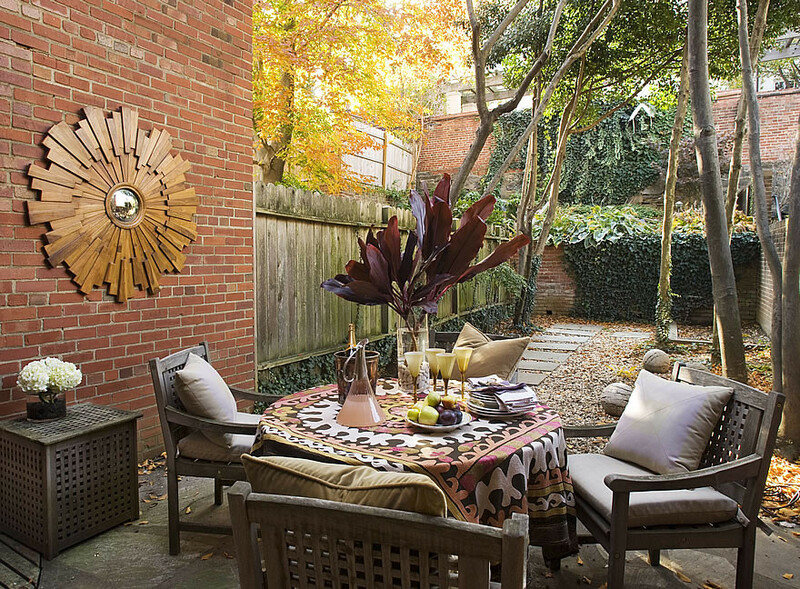 Not only can a sunburst mirror be a beautiful indoor decoration piece, it can also perform in an outdoor setting! 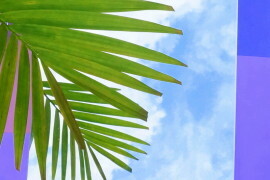 With its warm colors and obvious radiancy it will naturally feel a part of the sunny outdoors! 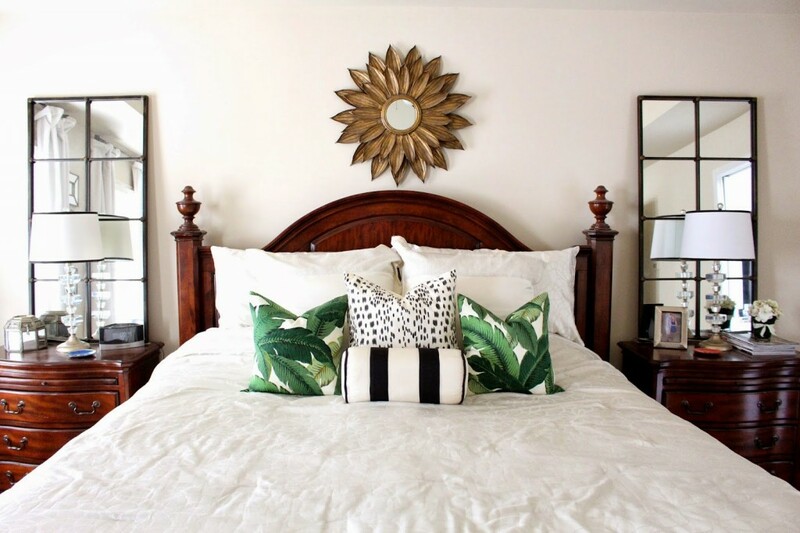 A sunburst mirror can lightly contrast the room’s interior and so make itself the center of attention as well as the only wall decor needed in a minimalist bedroom. 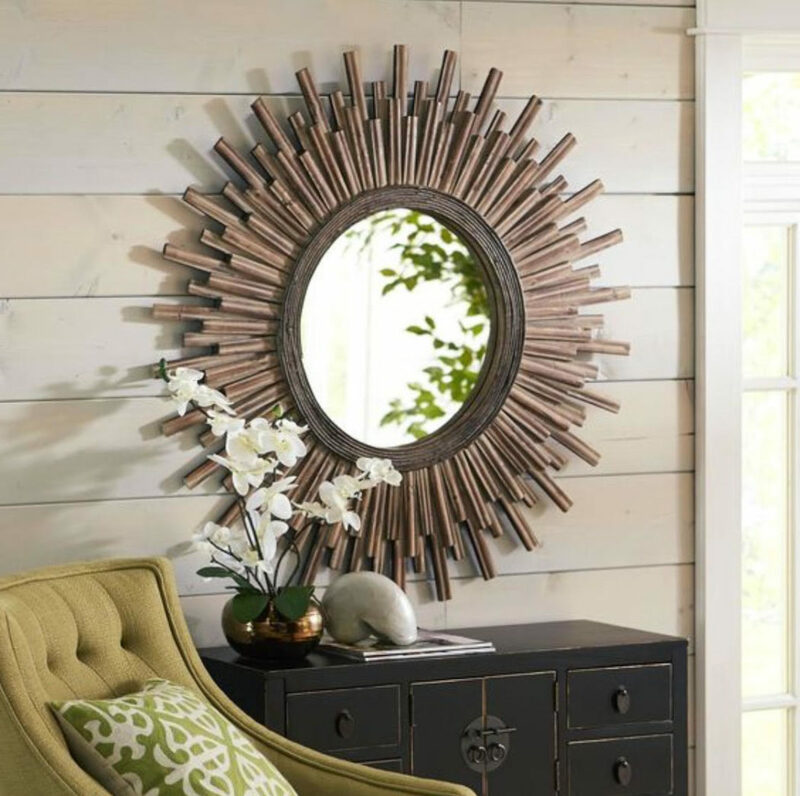 If you love rustic decor and are hesitant about the glamorous golden additions to your home, you can opt for a sunburst mirror with a significant rustic look that marvelously matches even the most antique pieces in your house! 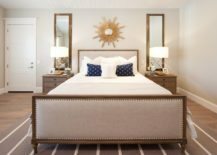 One thing that makes each and every sunburst mirror so unique is their incredible design that varies from piece to piece. 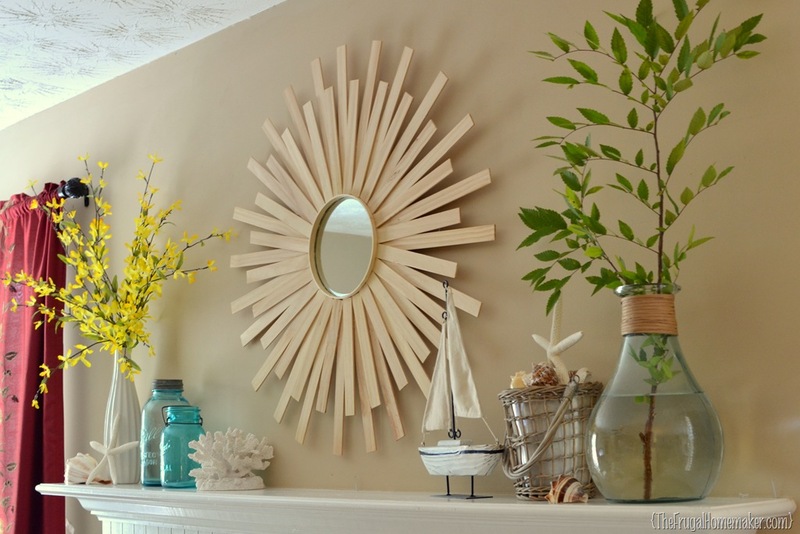 Here’s a beautiful wooden sunburst mirror that is a lovely addition to any simplistic living room. 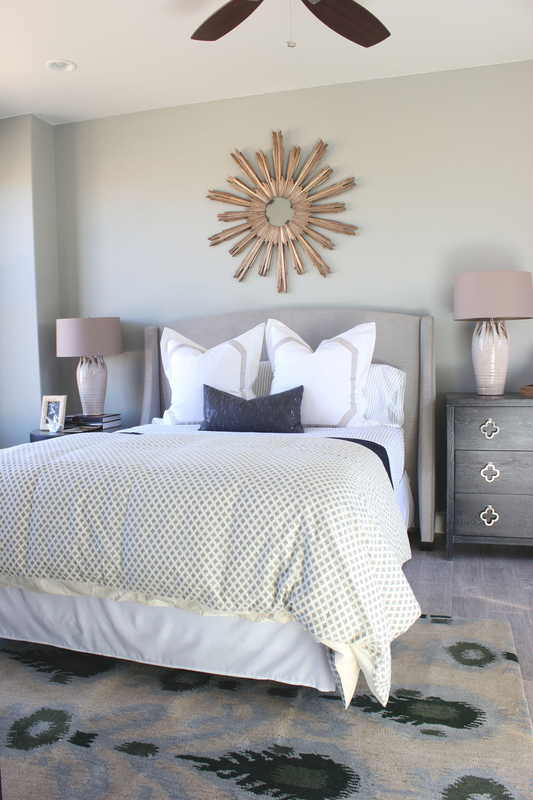 A beige bedroom needs one element that brings a little sparkle into the room, making it more cheerful! 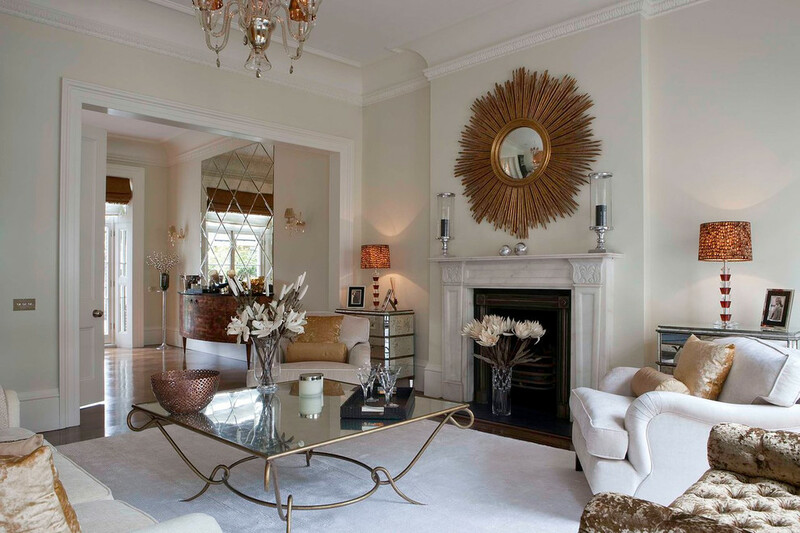 A shiny sunburst mirror is always a good choice as it has just the gleaming touch that’s needed! 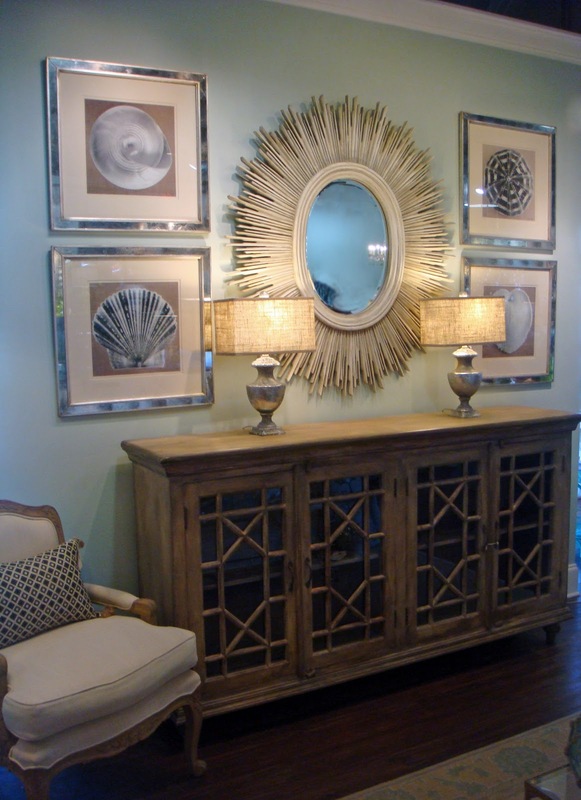 The only thing better than one sunburst mirror are three of them! Set up in a lovely row of windows in a sunny kitchen, they make the space magical and fascinating, reflecting all the sunlight that touches their surface! 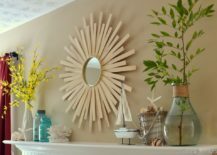 Lovers of simplicity may feel apprehensive about sunburst mirrors, but one look at this elegant and minimalist light wooden mirror will give you a peace of mind and show you that such mirrors can easily be subtle! 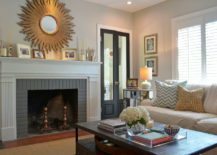 In a living room that mixes a whole plethora of different colors and decor styles one wouldn’t know what to focus on if it wasn’t for the remarkable golden sunburst mirror securing all attention! 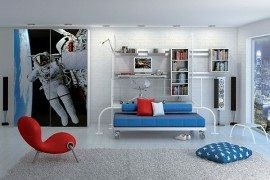 It’s not all about lush and luxury! 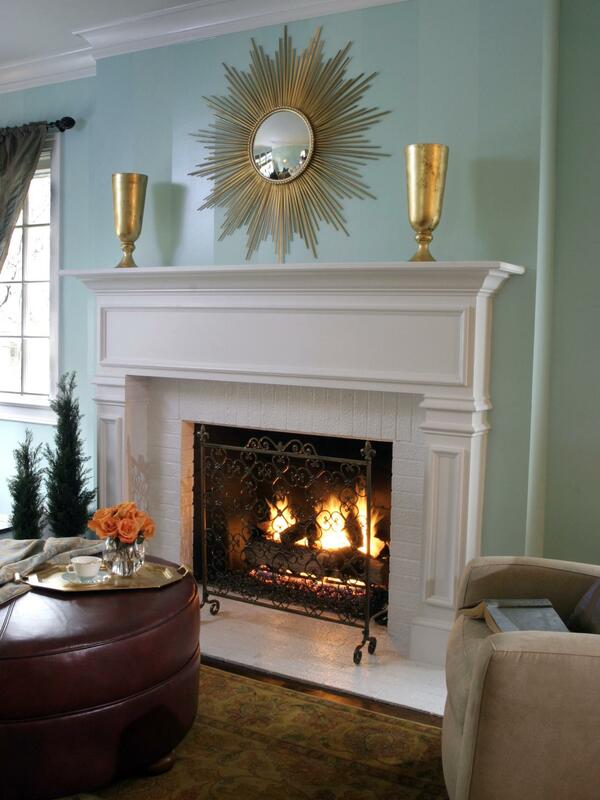 A sunburst mirror can contribute to a peaceful and romantic ambiance with its enchanting appearance and colors that match the flames glowing in the fireplace! 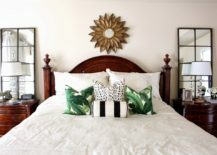 There is a lot of value placed on color consistency within a room, so if you don’t wish to stray away from a coherent interior that is loyal to a select few colors, a bright white sunburst mirror that matches the cushions on the bed is a sensible choice! 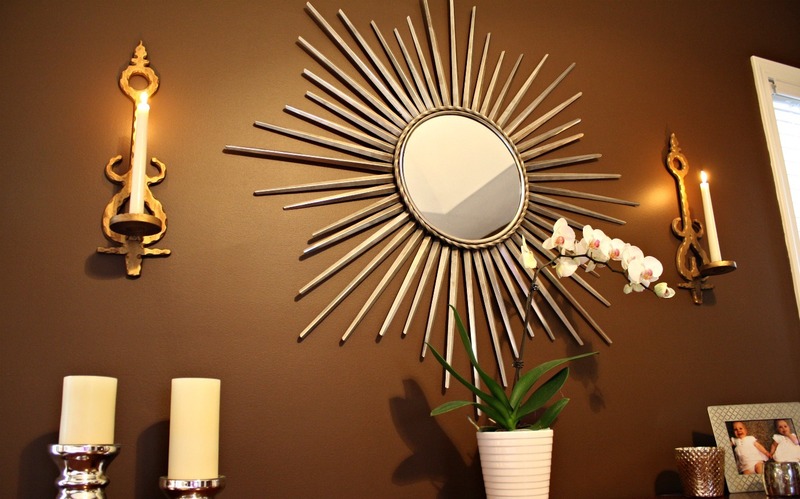 A room that really capitalizes on the beauty of the metallic decoration is paradise for a sunburst mirror! 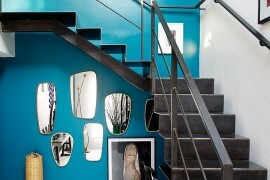 The entire place gets a glamorous and sophisticated look, all thanks to the big mirror and its undeniable influence! 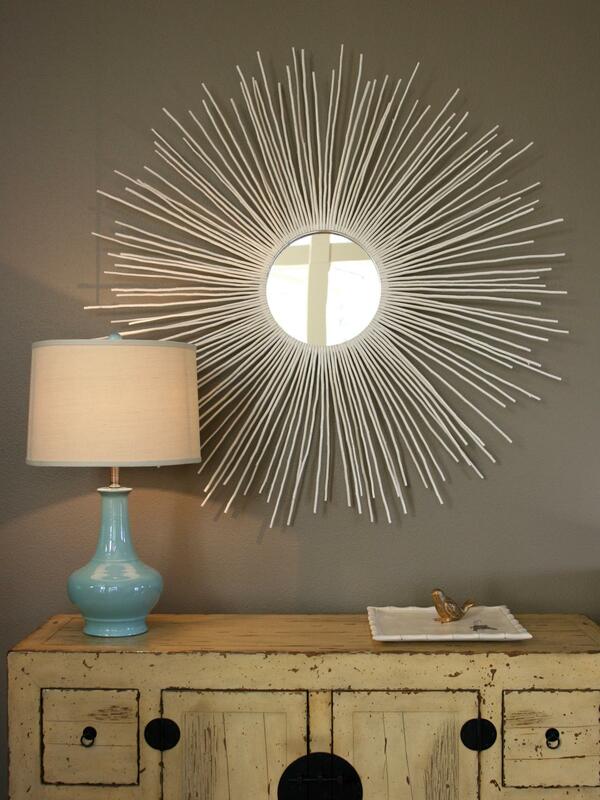 The rays of the sunburst mirror are usually long and thin, but they can also be shorter and much bulkier! 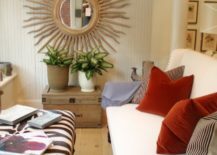 The design of this creative sunburst mirror vaguely resembles a rosette which gives the room a kind and welcoming appeal! 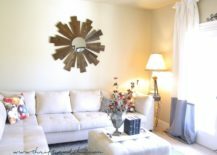 Normally you will see a sunburst mirror be the defining decor piece of the room, boasting in all its greatness, but this stunningly serene room shows us how amazingy a small sunburst mirror can blend in within a light and simplistic wall gallery! 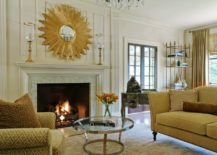 A big living room with many furniture pieces that mix together a variety of different color hues is balanced by a radiant bronze sunburst mirror, proving once again that metallic decoration is a terrific feature in any room! 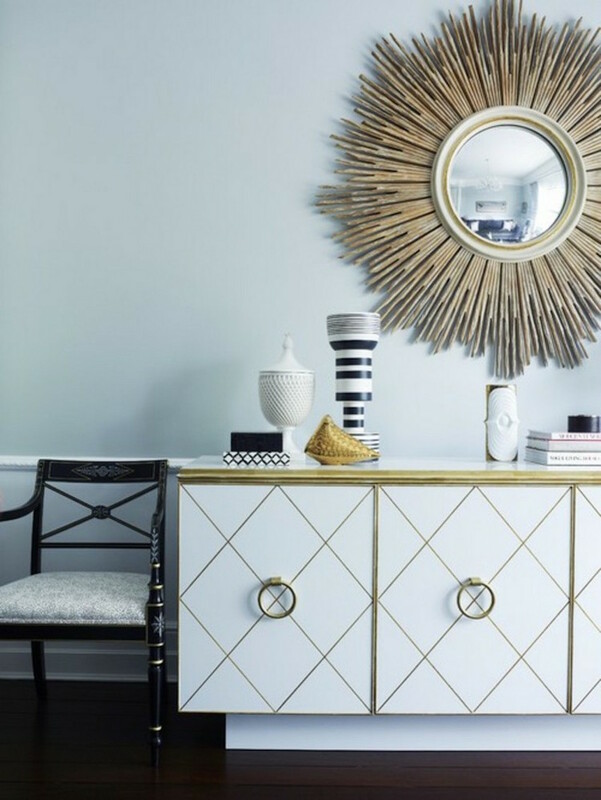 While sunburst mirrors may be a current trend and a significantly modern decor piece, they can easily spice up a vintage room and appear timeless within the old-fashioned setting!